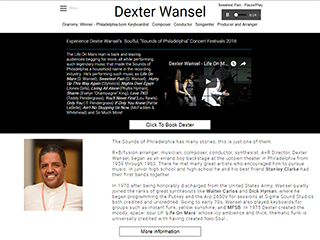 Does your website look good on Desktop, Tablet and Mobile. We design websites for all of the above. 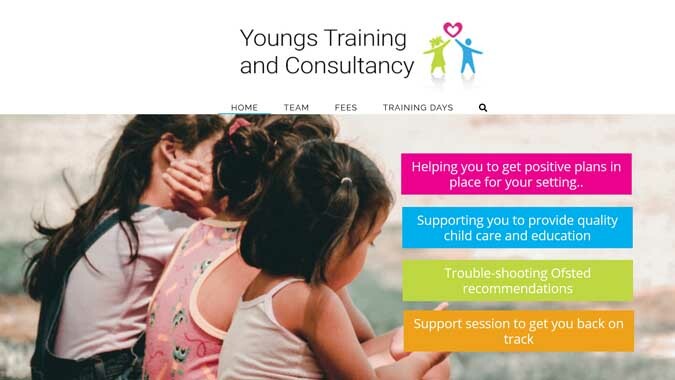 The following slides show just a few of the sites we've created. 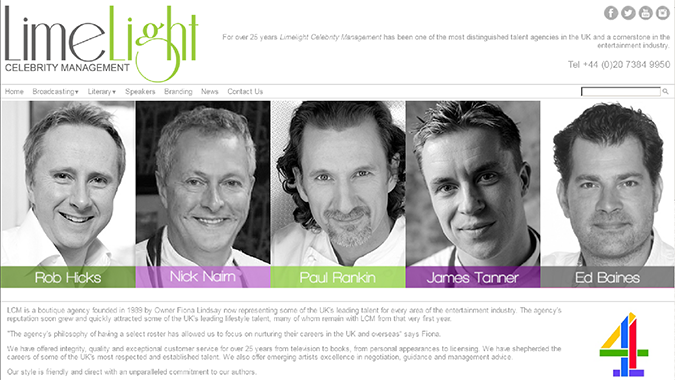 Limelight Management’s celebrity portfolio includes top TV Chefs such as Mary Berry and James Martin. Transform has built a bespoke custom contact management system for them, which allows them to add and update their clients. Transform manages all their video content - the recording of TV shows and client’s show reels. Transform recently worked with Limelight to produce Gourmet Experiences (in conjunction with Macro), where James Martin and Mary Berry personally hosted cookery classes for groups of up to 20 people. Transform assisted with the promotion of these events via the internet, facebook and twitter. Lawrence Keogh - An accomplished Head Chef who has created, opened and operated the kitchens in some of London’s most prestigious restaurants in recent years. 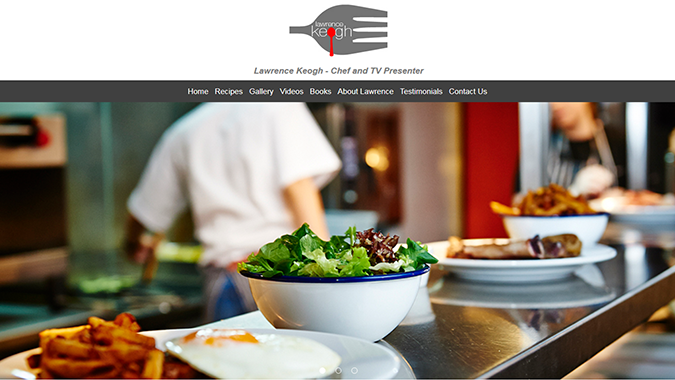 In addition to my restaurant work, I have made numerous TV appearances including BBC1’s Saturday Kitchen Live and UKTV’s Food Market Kitchen, as well as radio with Chris Evans on BBC Radio 2. 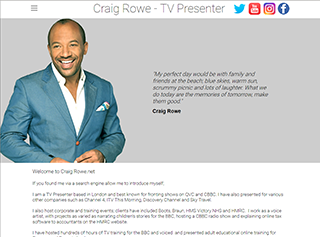 I have hosted many large consumer food shows including the Saturday Kitchen roadshow, BBC Good Food Show Live and Summer Time Kitchen at Hampton Court in 2015. Previously I have been Consultant Chef to British Airways on their inflight food and am a Patron of the National Kidney Federation. 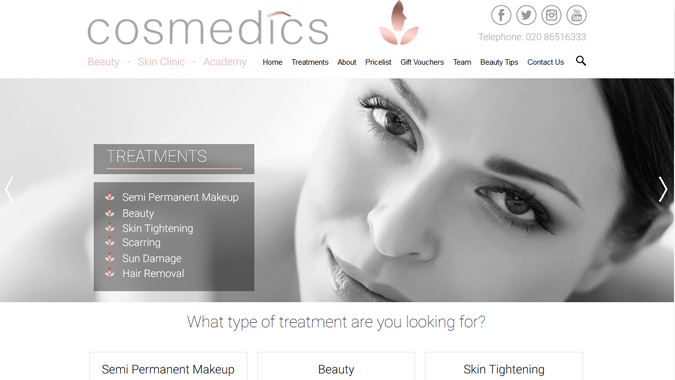 Cosmedics is a specialist clinic which works with a team of professionals who offer treatments for the skins and body. 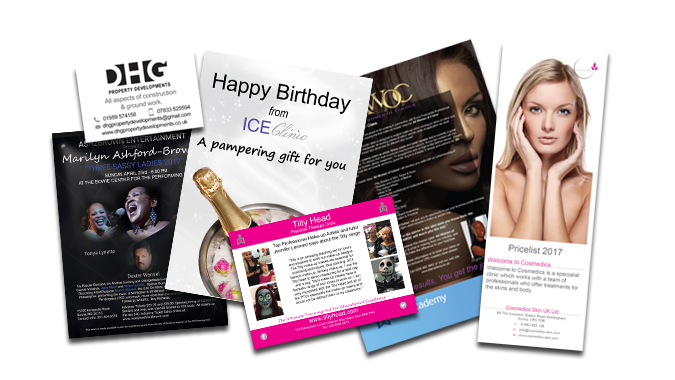 We design and create price-lists, postcards, banners, pop-ups, retail packaging, business cards, tickets, vouchers, and all other promotional materials.